Gabrielle Berrios on being voted as our Male and Female Gator’s Student Athletes of the Month for January. 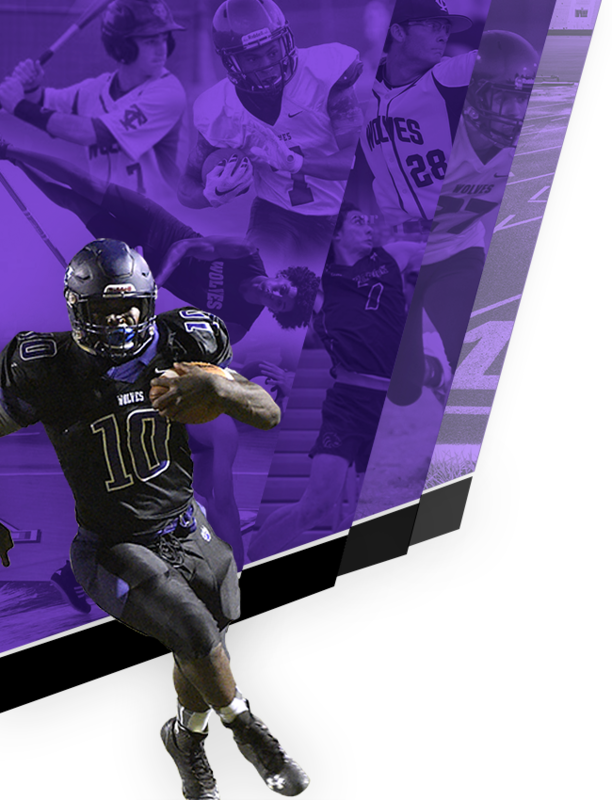 They both exemplified what it is to be a true “Student Athlete” on the field and in the classroom with their hard work, sportmanship and teamwork. Johnathon was nominated by Coach Cone. Johnathon is the only senior starter on the wrestling team this year. He is leading the team in pins with 22 and has 24 wins on the season. He is one of the most improved wrestlers on the team this year. Johnathon has had a great senior season leading the team as the only senior. He placed 3rd at Citrus and 6th at the tournament of champions. Coach Cone is most proud of how he has changed his body this past summer by gaining 10 pounds of muscle to become a full time varsity starter. Johnathon has also been involved with chorus throughout his high school years. 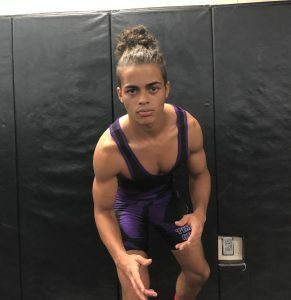 Johnathon started doing MMA for awhile but decided to take a break and join the Timber Creek wrestling team as a freshman. 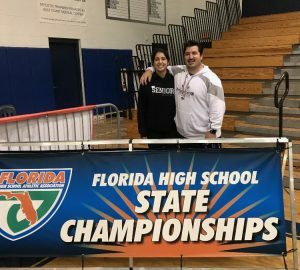 He plans to compete competitively in MMA once he graduates and looks to attend Valencia College in the fall to study business. Johnathon’s ultimate goal is obtain a business degree and open his own MMA studio and become real estate investor. In his free time, he enjoys fishing, wrestling and video games. Congratulations to Johnathon – thank you for all your hard work and being an integral part of the Wolfpack . The best of luck to you as you close out your final year at TC and all your future endeavors! Gabrielle was nominated by Coach Frankos. She is a 4 year Girls Weightlifting Letter Varsity starter and qualified for the state competition 3 years in a row. Gabrielle also finished 13th in the state to close out her senior year. She is a participant for the HOSA (Forensic Science) club and finished 1st place in Region Band (Baritone Section Leader). Gabrielle is Vice President of the “We Are One” club and part of the Science National Honors Society. She also carries an impressive 4.7 Weighted GPA while taking multiple AP courses. Gabrielle started weightlifting at the end of 5th grade. She also participated in gymnastics, dance, ballet, swimming and played soccer prior to joining weightlifting. She enjoys baking, painting and drawing in her free time. Gabrielle plans to attend UCF next fall and pursue a career in Biomedical Sciences. 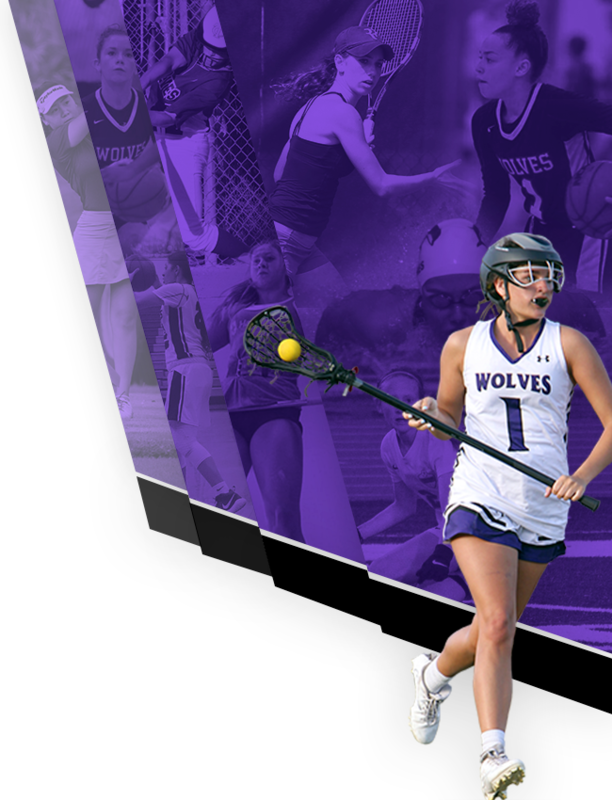 We are extremely proud to have Gabrielle represent Timber Creek as one of our top student athletes. We will certainly miss you Gabby and wish you many successes as you further your academic career and all your future endeavors.